Usually all are interested what is the application for this or this technology. Let us talk about punching… Very small explanation – punching is a process of metal fabrication with the use of punch which goes with the necessary force inside the part to perform the cutting. As you can understand punch has the geometry of hole so the hole will be the same as the punch. The force to perform the punching called punching force or necessary punching force if you want to calculate what tonnage you need for your task. We speak about sheet metal punching as the main process but there are more similar processes: tube or profile punching, structural parts punching etc. 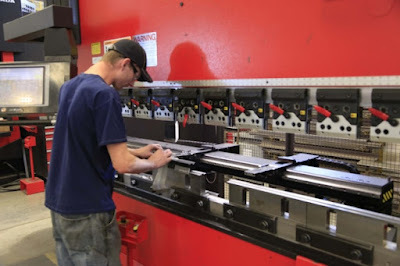 Punching is performed for sheet metal with the use of punching press which could be general just as the unit to perform the hit of punch and low positioning of die, stamping press which is usually the part of forming process or coordinate punching press – press with the table where the part of sheet metal will be positioned where it is necessary to make the punching. Punching press is the most used technology for sheet metal together with laser for metal cutting. 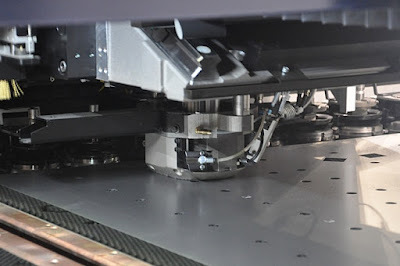 The differences are that the punching press needs punching tool for the work and laser – not. 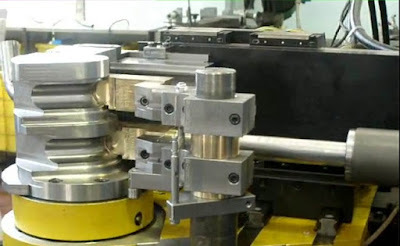 Punching tool at least has two main positions – punch as the tool to perform the hit and the die on the low position to support the material at the working area. Punching is the cheapest technology to make the holes at sheet metal. What is it for? It is clear that in general there no final products after punching at all. But the punching is the main operation to get the unfolded part for future bending. And after the bending it will be the product for lots of different applications: electric or other equipment metal cabinets, metal furniture units, metal boxes, safes, arms boxes, metal shelfs, panels for elevators, architecture and design, metal doors, bar and restaurant kitchen furniture, ovens, medical furniture etc. The other part is perforation – process with the making of lot of same holes in the sheet. The use of them could be the architecture panels or panels to perform the normal ventilation, for example top panels of the subway or railroad wagons.